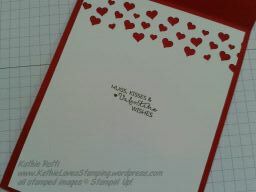 Here is one of the cards we are making in my Stampin’ Club this week. 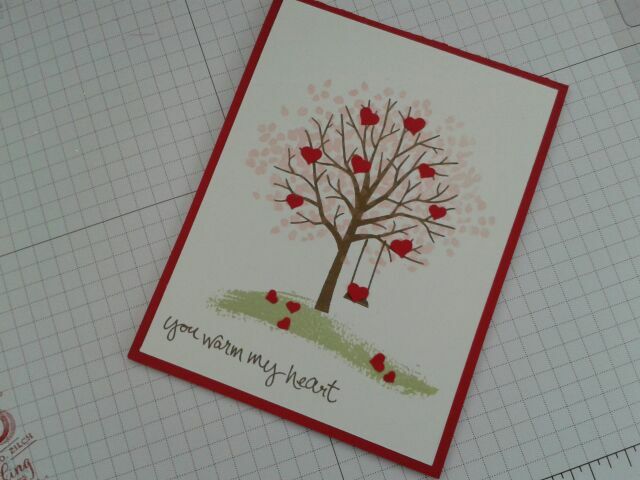 This is a very mail-able card, not even a dimensional in sight! 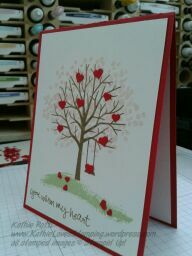 I used Sheltering Tree from the Occasions Catalog and a little bit of heart confetti using the brand new Confetti Heart Border Punch. I thought it would be cute to have one of the confetti hearts take a turn on the swing! I used Blushing Bride, Soft Suede and Wild Wasabi for my ink colors. Inside I used one of the sentiments from the January My Paper Pumpkin Kit that just arrived in the mail in the nick of time to complete this card! I hope you enjoyed this card. Check below for the supplies needed for this card. Next > A Few Hexagons and a Bunny!